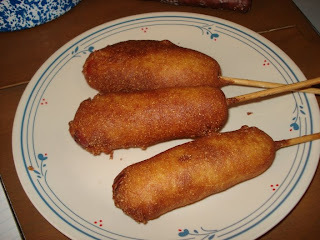 Hey Carm i notieced your comment about the cruncyness of the corn dogs. Did you use regular milk?? 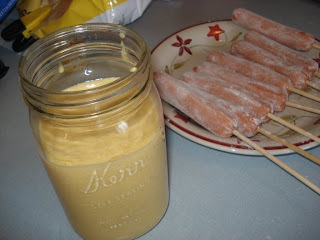 i Made them the first time and used buttermilk they were fluffy just like a regular corn dog. The second time i made them i did not have buttermilk and used regular milk and ours were different and more crunchy that the first time. I think i am going to stick to buttermilk and edit the recipe to reflect the change. WOW thanks for posting this recipe.. we love these. HAHAHA they are sometimes called Pluto Pups here in Australia as well as corn dogs. I am definitely going to try this for my kids and me of course!! What a fun recipe. I recently started liking Corndogs. I hated them when i was in grad school!